We have some rehearsal time coming-up and hopefully that will double as recording time. The DVD we are producing has taken a back seat for the time being. 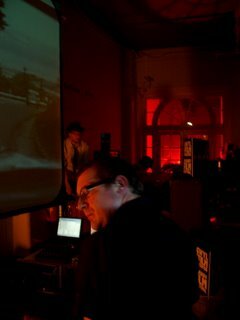 That said we would like to provide a decent quality Quicktime of the Experimentica performance along with supporting images and documents as a means of application to any sonic art/music/cinema events that are coming-up in the new year. Those of you who are a little more environmentally conscious may wish to view the performance via Bowers' site (link at right of page). We would be most eager to hear from anybody that knows of any forthcoming events which our brand of performance may suit. Just finished our second trip out, this time for the film Noir themed Jacuzzi Junta. Massive thanks to Nic, Anne, Debbie and Jon for putting the night on, it is such a neccesary platform for fresh entertainment in Cardiff and hosts the greatest diversity in players you could expect to see in one night!. 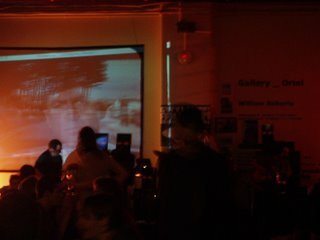 On Saturday night we will be appearing at Chapter for Jacuzzi Junta's film Noir themed event - see: http://www.jacuzzi-junta.org/. This is also the official party night for the Cardiff film festival. 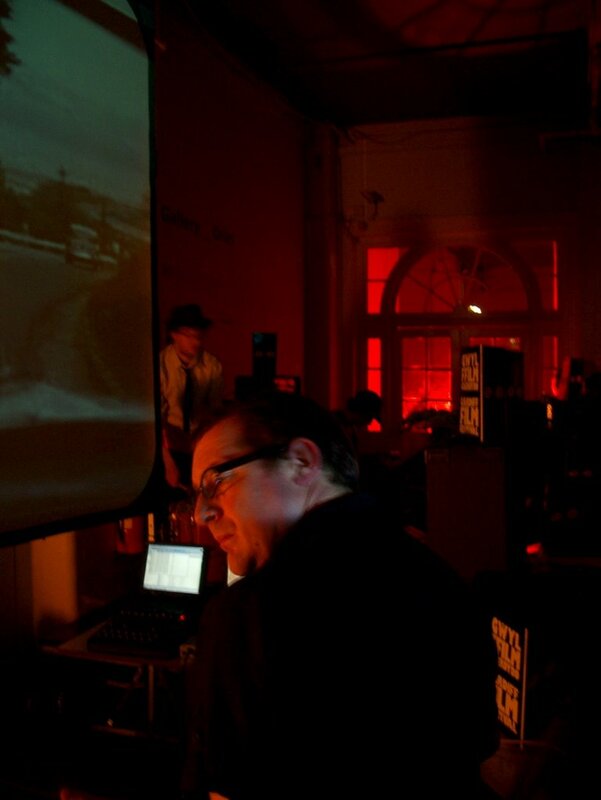 The Video element of our set will be 1 projection controlled by either drums or guitar (probably guitar at this point, courtesy of Bowers} and relies on shots from Hitchcock's Neo Noir masterpiece Vertigo - we hope to see you there. Just found out we are playing at 10:30pm.